It also comes with heating feature as sauna belt which also helps simultaneously to reduce the fat much quicker. 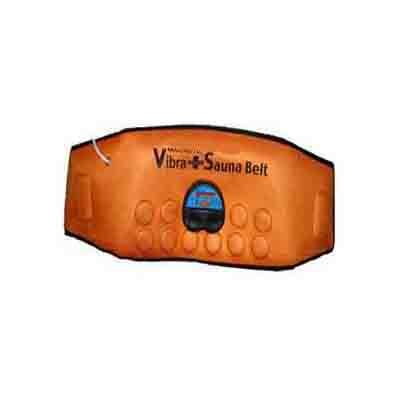 Sauna Vibrating Belt ( 3 in 1 ) - plug the sauna belt into the mains,turn the dial on with temperature regulator so the device heats up. Strap the sauna belt around the chosen body part (abdomen ,waist,or hips). Do not worry if your skin is reddish ,this reaction is due to the constant temperature it has been exposed to and will disappear after a couple of hours.. It is a free size belt which can suit any size.